Stay tuned for upcoming events for Baseball Dubai Cup in near future. 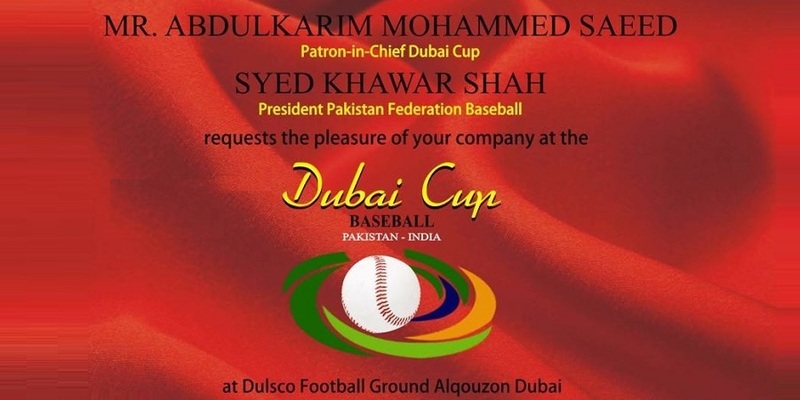 Baseball Dubai Cup 2017 - Pakistan vs India will be held in November 2017 in Dubai. Pakistan Baseball Federation has organized Pakistan vs India Dubai Cup to be held in November 2017. Best Viewed at 1024 x 768 pixels and above. This Page loaded in 0.06267 seconds on Fri, Apr 19, 2019 (07:11).